A thriller adapted from the 2010 novel by John Le Carre, moving from the era of Cold War spying to the equally dark world of money laundering. Imagine the following scenario: You are on holiday with your partner, and the two of you are befriended by a wealthy man who keeps inviting you to glamorous parties. After a few days, the man reveals that he is involved with the Russian mafia. He explains that his family are in danger, and he asks you for help. What do you do? The stage is set for a gripping spy drama. Stars Ewan McGregor, Naomie Harris, Stellan Skarsgard and Damian Lewis. 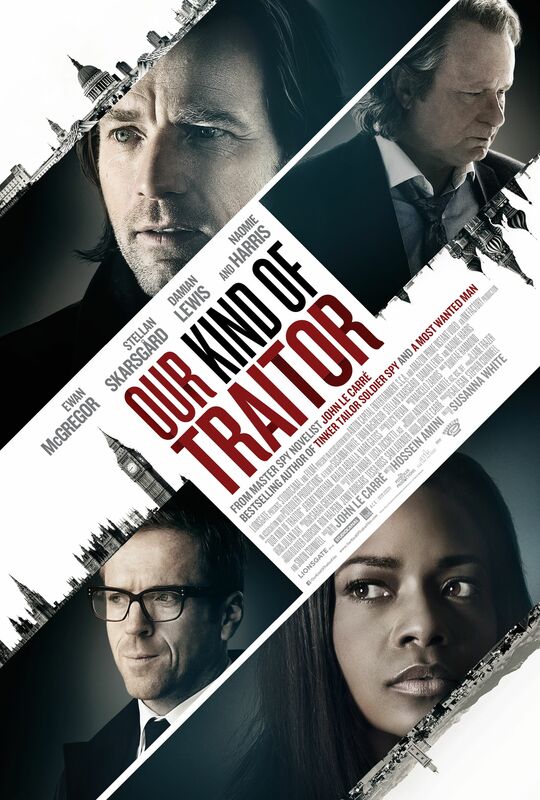 Our Kind of Traitor (15) - Village Cinema - A thriller adapted from the 2010 novel by John Le Carre, moving from the era of Cold War spying to the equally dark world of money laundering.